The 9th Beach of Christmas…..
What better way is their to farewell the last 365 days of 2013 than with an early morning beach swim. The 31st of December provided that opportunity, and their could be no other beach possible of cleansing the toxins, the tears and reinforcing the joy and wonder that was 2013 than Neilsen Park. 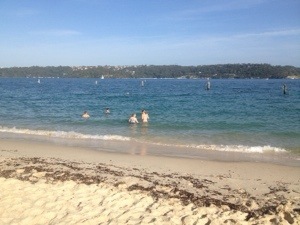 A swimming spot nestled in Sydney Harbour, clear ocean water, soothing and cool, a swim the perfect way to honour the year that was. 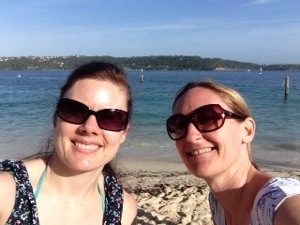 With another bestie in tow, Ms Steph Lee ( a finer beach companion one would struggle to find) we frolicked, giggled, laughed and lamented as we gazed out to sea, unsure of what the New Year had in store for us…..but certain that was ever was around the corner, it was nothing we could not handle. Neilen Park has always held a special place in my heart, yesterday’s outing further cemented my love of this inner city oasis.